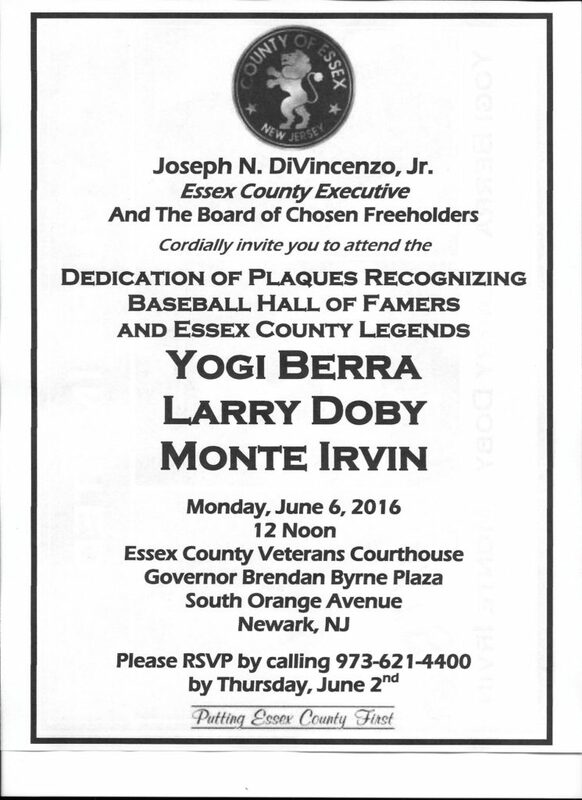 Hall of Famers Monte irvin, Larry Doby, and Yogi Berra, will be honored with plaques recognizing their greatness as Essex County Legends in a ceremony on June 6, in Newark, NJ. This is open to the public but you need to RSVP at 973-621-4400 in order to attend. All the information is available on the invitation.